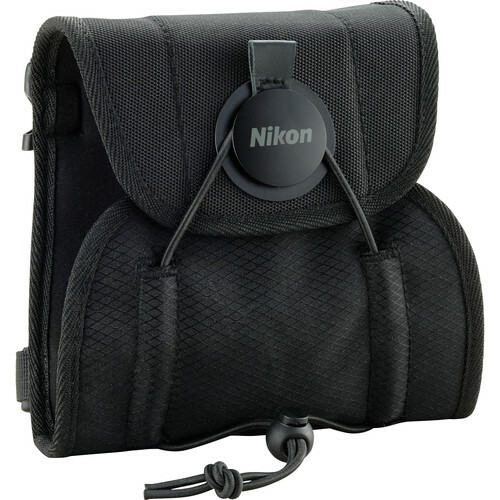 Store, protect, and transport your binoculars with the black Nikon TREX EXO Bag. For fast access the bag features a lightweight exoskeleton shell design. Users will appreciate knowing that the bag offers protection of the eyepiece lenses even when the over-flap is not secured. There's also a rear cell phone pocket with a built-in microfiber cleaning cloth. Box Dimensions (LxWxH) 7.0 x 7.0 x 2.0"
Does Nikon TREX-EXO Bag have shoulder strap for carrying and a neck strap?